Distributed by Unique Publications, Inc. Although there are many books on the martial arts in general, there are dreadfully few of quality with regard to the science of strength training in the martial arts. 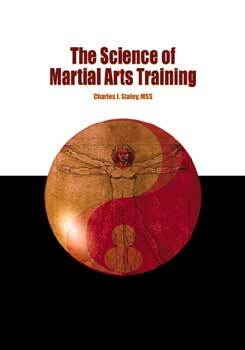 Charles I. Staley, MSS in his breakthrough book "The Science of Martial Arts Training" sheds light on many of the issues and misconceptions martial artists have with regard to strength training, endurance, flexibility and speed. As an experienced Martial artist and coach, in addition to being an Olympic weightlifting coach who has produced several nationally rated athletes, this noted member of the International Association of Sports Science combines his years of experience and the latest thought in western research with that gleaned from the former Soviet and eastern block countries to produce what is in this writer's opinion the most comprehensive text on this facet of the martial arts to date. Staley successfully undertakes the difficult task of explaining complicated body processes as well as various training methodologies in an entertaining and easy to follow manner. Common mistakes made by those weight training are discussed as well as the correct performance of various exercises (both with and without weights). Also interesting is the objective treatment given to questionable and non-productive exercises, some of which are considered bread and butter calisthenics at many health clubs throughout the world. As if all of the above was not enough, additional chapters covering nutrition, prevention and management of injuries, technical and tactical preparation and even a chapter on psychological preparation for the competition day round out this excellent book. It is useful and informative for those who are a student of the martial arts considering increasing their performance, a coach of a competitive team, a traditional instructor, or all three. This book is a must have!